On Wednesday 19th Oct 2016 a 30 year old man took his own life at HMP Manchester (Strangeways), the young man who was discovered hanged in his cell was known to suffer from Asperger’s syndrome (http://www.manchestereveningnews.co.uk/news/greater-manchester-news/nicky-reilly-dead-strangeways-prison-12056877). This led to inquiries to confirm whether deaths in custody of those known to have an autism spectrum disorder are collated in any way. The key organisations who collect this data, INQUEST, The Howard League for Penal Reform and The Prison Reform Trust were contacted regarding this type of prisoner. Each organisation replied that they do not hold this data. This illustrates the importance of exploring this area in detail.Despite prison interest and some prisons being involved with pilot work within the UK, Feltham remains the only prison in the UK to have Autism Accreditation and is therefore, ‘autism friendly’. Her Majesty’s Young Offenders Institute (HMYOI) Feltham is the first prison or young offender institution in the UK to be awarded Autism Accreditation (http://www.autism.org.uk/get-involved/media-centre/news/2016-02-25-first-autism-accredited-prison.aspx). For over two years, Feltham has been working with The National Autistic Society (NAS) in order to improve the way they support offenders with ASD. The aim of Accreditation is to improve autism practice across all areas of prison life: admission, prison staff training, behaviour management and the physical environment, with the long-term aim of tackling issues frequently experienced by prisoners with ASD and ultimately reducing the risk of recidivism in this subgroup. The urgency of further research and recognition of Asperger’s and Autism Spectrum Disorders (ASDs) in the criminal justice process is emphasised by studies which have found that the severity of ASD traits is a risk factor for suicidality and common mental health issues in prisoners (http://www.sciencedirect.com/science/article/pii/S092493381530674X). In the North West of England there are 16 prisons with a total operational capacity of 12,543. Let’s say that the prevalence figure of autism spectrum disorders is at least the same as that found in the general population (1%) then there are at least 125 prisoners in prisons in the North West of England alone who are on the spectrum. Given that there are a number of studies suggesting that the prevalence of ASD is higher in the prison population when compared to the general population, it highlights the urgent need for more prisons to gain Autism Accreditation and for further research to gain more of an understanding the specific needs of inmates with ASD and prison staffs knowledge of the disorder. 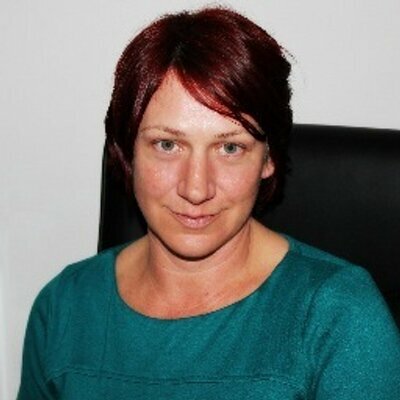 Recognising the importance of research in this field, lecturers at the University of Salford, Dr Clare Allely and Dr Toni Wood, have combined their expertise in a unique project which will involve questionnaires and semi-structured interviews of a broad section of prison staff as well as inmates with ASD with the aim of increasing our understanding of what areas could be improved on and, crucially, to assist in the development of a toolkit for prison staff in order to try and increase the identification, recognition and understanding of ASD within the prison environment. Our project addresses a real gap in the research. Research looking at these issues is sparse (http://www.emeraldinsight.com/doi/abs/10.1108/JIDOB-06-2015-0014). Only one study has explored prison staffs’ knowledge and understanding of ASD (http://www.ingentaconnect.com/content/bild/gap/2009/00000010/00000001/art00005) but they all agree that many individuals with ASD do not receive the appropriate care that they need. This issue of a lack of awareness and recognition of ASD occurs even earlier in the criminal justice process – police interview and court proceedings (Cooper & Allely, 2016; Cooper, Berryessa, & Allely, 2016). Concern has been raised in the literature regarding how juries and judges handle cases involving defendants with ASD. The modest amount of research on judicial perceptions or decision making regarding defendants with ASD suggests that judges have limited understanding and familiarity with ASD (Freckelton & List, 2009). This is particularly concerning considering that there is some indication in the literature that jurors may hold misconceptions and stigmatising beliefs about ASD which may have a negative impact on the juror’s decision regarding a defendant with ASD. Some behaviours exhibited by defendants with ASD can be viewed negatively if not understood in the context of the defendant’s condition. Freckelton (2013) detailed the case of State v Burr, 2007 where the defendant, Burr, appeared in court with a bag draped over his head. When asked a question, he would respond with questions from the Book of Deuteronomy. The Book of Deuteronomy is the fifth book of the Torah (a section of the Hebrew Bible) and the Christian Old Testament. In another case, R v Sultan  EWCA, the Court of Appeal concluded that expert evidence on the defendant’s autism spectrum condition ‘might have gone some way to explain to the jury why the appellant was behaving so oddly at trial, such as reading a book during [the complainant’s] evidence’ (paragraph 34). As researchers, we aim to increase recognition of this area with the hope that more prisons in the UK will obtain Autism Accreditation and that there is increased awareness of ASD as early as possible in the criminal justice process. Affiliate member of the Gillberg Neuropsychiatry Centre. University of Gothenburg. Al-Attar, Z. (2016). Autism & Terrorism Links – Fact or Fiction? 15th International Conference on the Care and Treatment of Offenders with an Intellectual and/or Developmental Disability. National Autistic Society. 19-20th April 2016.